Rio Salado College | RioNews: Take Part in a Civil Liberties Discussion Tonight! Take Part in a Civil Liberties Discussion Tonight! 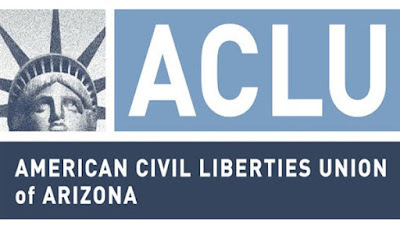 Alessandra Soler, Executive Director of the American Civil Liberties Union of Arizona, will deliver the first lecture in the Maricopa Center for Learning and Instruction (MCLI) Honors Forum Lecture Series, hosted by Maricopa Community Colleges. The lecture begins at 7 p.m. in Bulpitt Auditorium at Phoenix College. Soler’s lecture “Protecting and Advancing Civil Liberties in the 21st Century” will cover the ACLU’s history, current threats to civil liberties and their impact on democracy, the ACLU of Arizona’s work in four key areas – immigrants’ rights, education equity, LGBTQ equality, and criminal justice reform – and how to get involved. Soler came to the ACLU of Arizona as Executive Director in February 2006. She is the first Latina to head the organization. Soler has over 18 years of ACLU experience, including work at offices in Florida and Louisiana. Before joining the ACLU, she worked as a reporter for publications in Miami and Virginia. 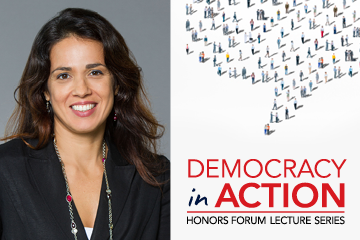 The Honors Forum Lecture brings together distinguished local and national speakers for lectures themed “Democracy in Action.” Future speakers include Phoenix Mayor Greg Stanton, and Associate Professor and Author Django Paris. The series concludes with Carmen Perez, Executive Director of The Gathering for Justice. Wednesday, September 13, 2017 - 7 p.m. The Honors Forum Lecture Series is open to the public, with free admission and unassigned seating.